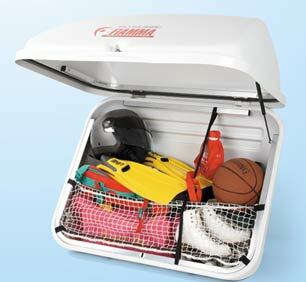 The Fiamma Ultra-Box 320 box is a convenient size for most camper van, motorcaravan, caravan and minivan models. 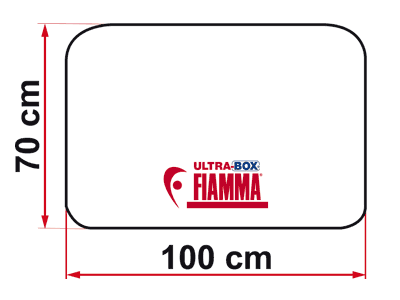 Fiamma Ultra-Box 320 is made from top quality ABS-PLUS to provide high resistance and protection against impacts, weather conditions and ultra violet rays. 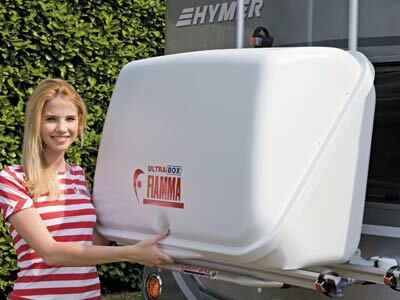 Fiamma Ultra-Box 320 is co-extruded and has water tight foam seals and flexible luggage netting. Smooth up and down lid motion, thanks to the air assisted opening. The Fiamma Ultra-Box 320 can be installed on the Carry-Bike (kit included), or on the rear of the vehicle with the optional Wall-Mounting kit. GS/T?V approved. Dimensions open cm: 100 (L) x 83 (W) x 103 (H). Dimensions closed cm: 100 (L) x 53 (W) x 70 (H). Can be fitted to all rear mounted Fiamma Carry Bikes except those with offset rails. 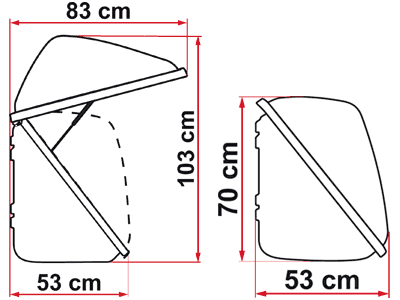 In other words it can be fitted to rear mounted Carry Bikes on Motorhome, Caravan and Campervan or Van Conversion with single rear door. 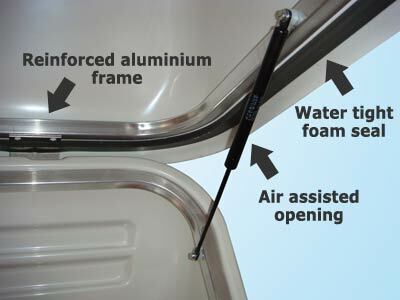 DO NOT FIT to van conversion or campervan with double rear doors. Make sure to stay within the load limit for your bike rack. 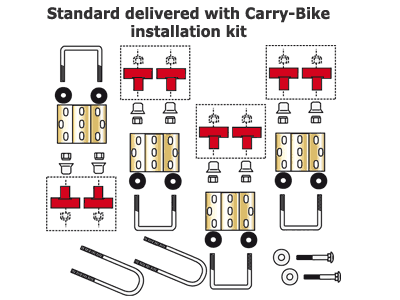 *Ultra Box fitting instructions do NOT explain fitting to the Carry Bike Pro C however Fiamma have confirmed that this can be done. If you have purchased your Ultra-Box from AgentFiamma please call 0161-902-3025 for details of fitting if you are unsure. If you purchased your Ultra-Box elsewhere please contact you supplying dealer for guidance.